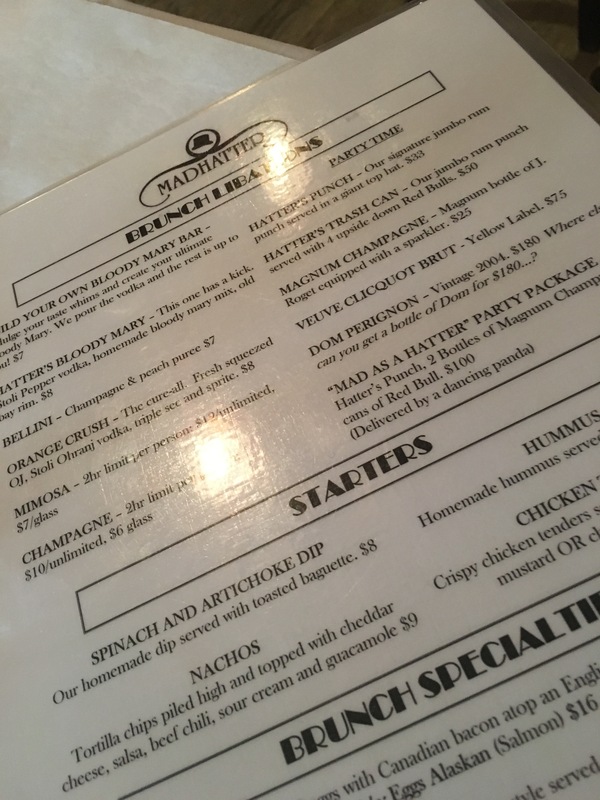 This past Sunday I went to eat brunch with my beau at the MadHatter in Washington, DC. We tried to eat there once before but it was way too crowded and noisy (says bae). Oh, I forgot to mention that they wanted to seat us at this table for two in what felt like the middle of the restaurant! On this particular Sunday we did get a nice table in one of the rooms that look like it would be used for a private party. It was less noisy and quite intimate. Perfect setting for brunch for two. 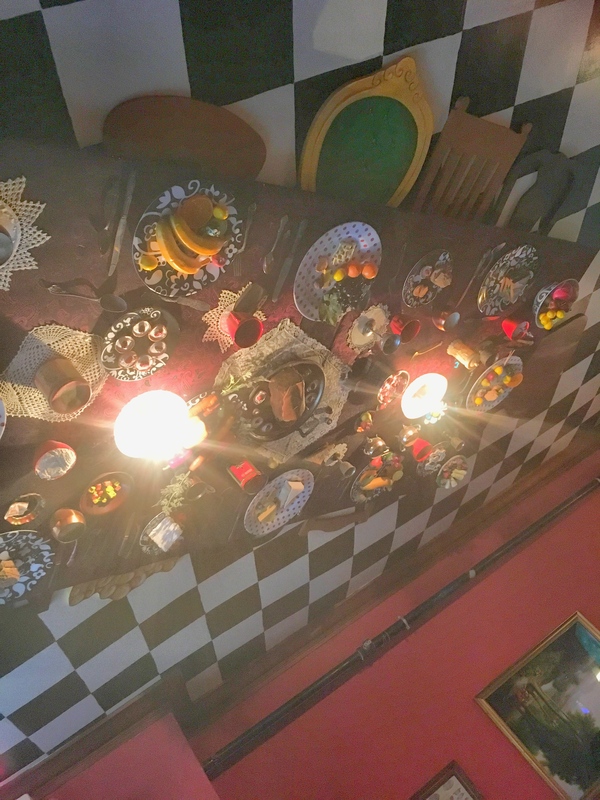 I was looking around the room and then happened to look up at the ceiling and to my surprise there was a full table setting!! Lol. Now given that the name of the restaurant is MADHATTER I should have expected decor such as this, but alas, I had a brain fart and didn’t connect the dots as far as the theme of the restaurant. I really enjoyed eating there from that very moment . I don’t know if it was seeing a table on the ceiling or the emptiness in my stomach but the food was a-mazing!! I’m glad we gave this retasurant another try! 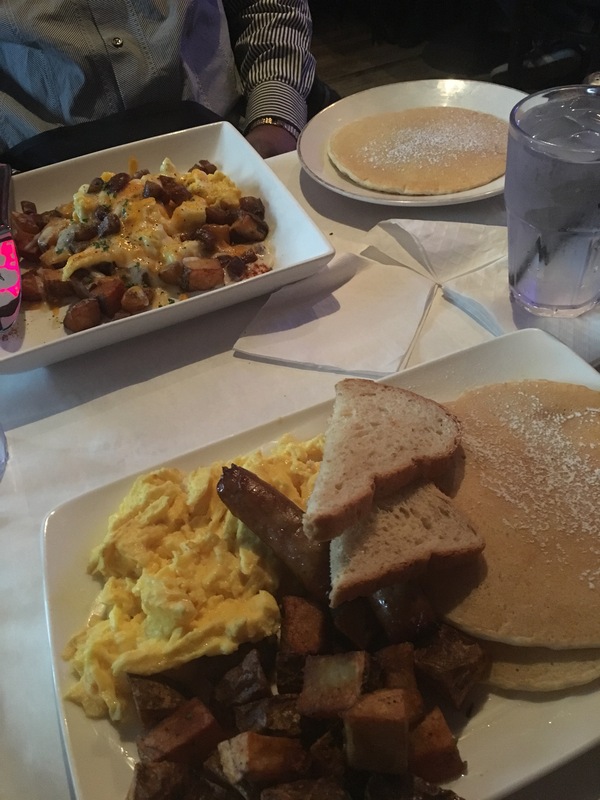 What are you favorite brunch spots?